There’s good news and there’s bad news. The bad news is that it ultimately does take quite a bit of time to completely eradicate a Candida overgrowth from the body. The good news is that there are supplements (antifungal and probiotics) you can take and foods you can eat that will help you to start feeling better very quickly. Even if you aren’t 100% cured, you’ll be able to go on with your daily life as you complete your Candida diet protocol and treatment. That said, there are several things you are going to need to do before you start your treatment. The reality of the situation is that you’ve been living with Candida for a very long time, possibly years. You may not have realized it at first, but your body was very slowly but surely infiltrated. As your overgrowth grew, so did your symptoms, but not all were easy to associate with this mysterious condition. You may have even shrugged quite a few symptoms off as old age, general fatigue from hard work, or even some other medical condition you already know you have. But over time, you started to feel noticeably worse – not just a little “off” here and there. Before you knew it, you felt terrible. You now have months – possibly years – of damage to reverse. That doesn’t happen overnight. Most Candida diet protocols begin with a cleanse as a way to jumpstart the process. The cleanse can be relatively difficult at first, as you’ll spend a short period of time completely eliminating everything that could feed Candida from your life. For most people, this means eating nothing but leafy green vegetables in salads and steamed vegetables for a period lasting at least a week. No processed foods, no sweets, no breads. You can’t even have most coffees or teas – especially creamers and sweeteners. No meat and no dairy. For others this may mean a liquid-only diet with vegetable broth. The vegetable broth will help you to bring minerals back into your body and will ultimately be a great addition to your Candida diet going forward. Warm broth tends to be very filling and fulfilling, even when you are on a very limited calorie cleanse. We’ll talk more about the specifics of the cleanse, how to do it, and what you should be eating and avoiding as we move forward. Your cleanse won’t work if you are cheating on it, so you will need to prepare in advance to eliminate and avoid temptation. Start by going through your home and removing all of the foods that you can no longer eat. You should get rid of packaged foods, processed goods, non-organic meats and dairy products, sodas, and snacks. Take an assessment of the medications you are taking and determine which ones you can stop. Talk to a doctor if you aren’t sure. 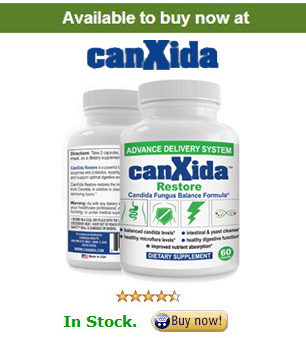 If you are fighting a Candida infection, you certainly should not be taking antibiotics. If you’re using oral contraceptives, you may need to talk to your doctor about a different method of birth control. Smokers will need to quit. This is a stressful time for your body and the added stress of the toxins from smoke is not helping your immune system. Those who drink alcohol will need to stop as well. Alcohol is full of carbohydrates, yeasts, and sugar – all things that feed Candida. Stress is a major contributor to the development and ongoing growth of Candida as well. In order to be successful with your treatment plan, you will want to try to find some methods for stress relief – yoga, pilates, meditation, even taking a nap. Schedule stress-free time into each day and plan to get plenty of rest each night. Now is not the time to overschedule yourself. Finally, you need to prepare yourself for Candida die-off. As the Candida albicans organisms in your body begin to die, they will release more toxins into your bloodstream. You will very likely experience worsened symptoms, especially when it comes to headaches, nausea, and itchiness. This means your cleanse is working and is not a sign you should stop. You will want to be prepared to deal with these side effects, though. Rest, nutrition, and the right supplementation will help you to move past this stage of the process. Take some time to prepare before you begin your cleanse and your overall Candida diet and treatment plan. The more prepared you are to deal with the more difficult early days of the process, the more successful you’ll ultimately be.